Deep Tissue Massage aims to relieve tension in specific muscles, muscle groups, and related soft tissues. It is a highly effective method for releasing chronic stress areas due to misalignment, repetitive motions, and past lingering injuries. Many clients ask: Should deep tissue work be painful? In my experience painful massage is usually counterproductive. Soft tissues do not usually relax and open while they are protecting and defending themselves from pain. Swedish Massage is a relaxing and therapeutic style of bodywork providing a pathway to centering and deep relaxation - a mental state that promotes healing, insight, and perspective. 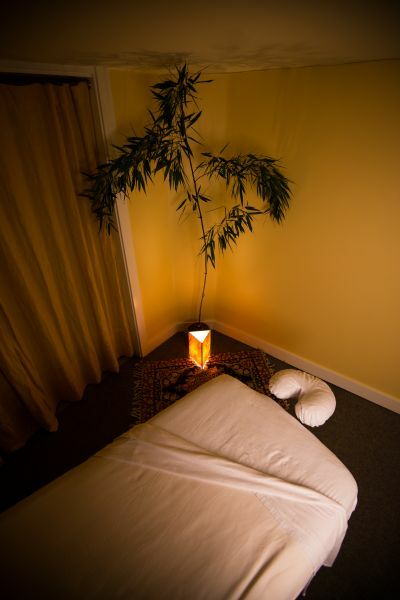 The benefits of this type of bodywork are wide-ranging and include relief from aches and pains, stress relief, enhanced mental clarity, improved circulation, and greater flexibility. I have been trained in massage for those who are cancer patients and cancer survivors. If this is the case for you, please inform me in advance so that we can decide the appropriate type of massage and any precautions to be taken. Please see the "Oncology Massage" page for more information. Includes assessment, treatment planning, massage therapy, insurance billing and follow up. The cost to the client depends on insurance coverage, co-pay, and deductible. Designed to support your skin's health, this massage uses only Arbonne pure, safe, beneficial, vegan, gluten free lotions, cremes, and oils. More information on the Skin Rejuvenation page. Experience the effects of deep healing heat emanating from hot stones. Heat from the stones enhances circulation and releases tension in a way that pressure and friction do not. I use the stones in two ways: (1) As an adjunct to Swedish massage, with the stones in motion, and (2) placing the stones on specific locations where the heat sinks deep into muscle. The sensation is uniquely warming and long lasting. Your feet bear your weight all over town, and they also happen to have a high concentration of nerve endings. A foot massage can be incredibly relaxing and rejuvenating. I incorporate Swedish, deep tissue, reflexology, and other techniques.